goldy ain’t too proud to beg! 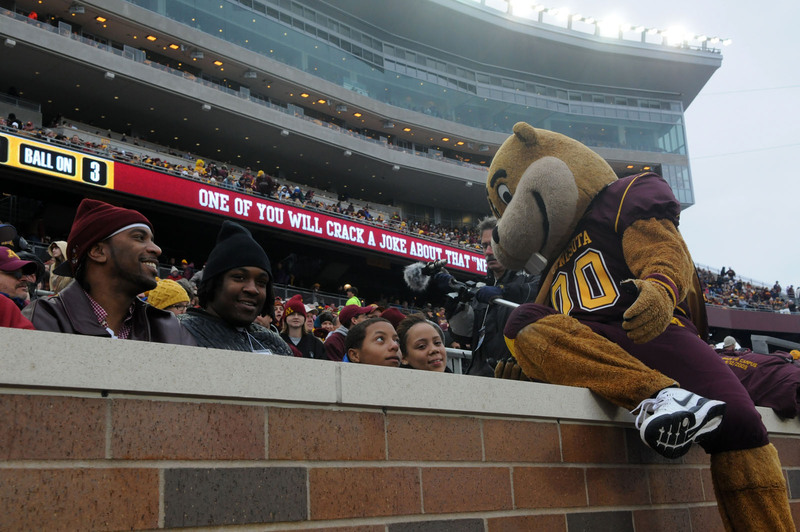 Seantrel Henderson (second from left) along with his dad, Sean (furthest left), get a personal appeal from Goldy Gopher at the Minnesota – South Dakota State football game last Saturday at TCF Bank Stadium. The Gophers won, 16-13, but were repeated visits throughout the season by Seantrel, the Cretin-Derham Hall star offensive lineman who’s rivals.com’s No. 1 high school football prospect in the country, enough to sway him to go to Minnesota? Seantrel has a few more visits left. This weekend he’s scheduled to take an unofficial trip to Iowa City to see the Iowa – Minnesota contest. Official visits include trips to USC on Dec. 5 and Florida Dec. 12. Good time to enjoy nice weather, Seantrel. Oklahoma was on his in his final five (Florida, Notre Dame, Ohio State, Oklahoma and USC) plus one (Minnesota), but trip date has been set yet. This is a short multimedia piece I did on the experience at the University of Minnesota’s new football stadium, TCF Bank Stadium, aka, The Bank. I combined audio (which supplies the narrative) with video and still pictures. Thanks to Gophers Coach Brewster for allowing the sports marketing folks at the University of Minnesota to turn his team’s locker room into a bar/reception area Monday evening. Coach Brew was even kind enough to stop by to speak with corporate season ticket holders who came to see the new stadium — and his team’s spacious locker room at The Bank. The Gophers locker room was quite impressive. I think it’s probably the size of a small ice hockey rink. (I’m not kidding.) And the photography that adorns the walls is superb. 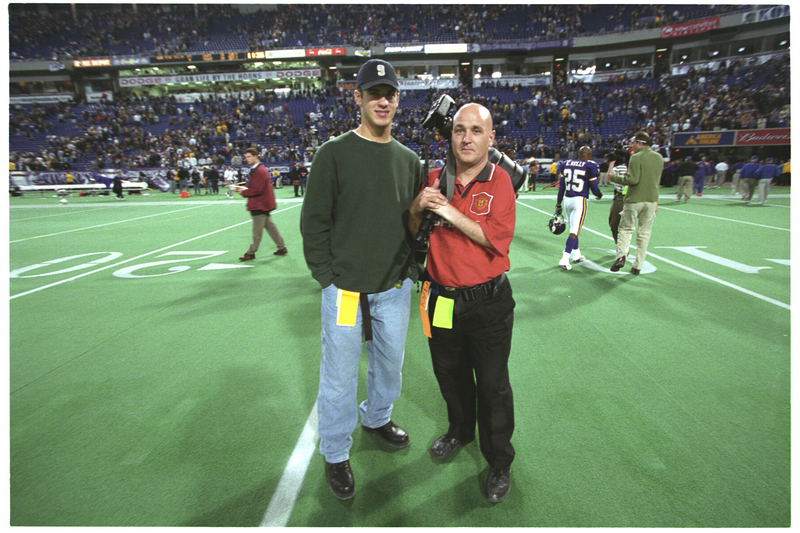 Actually, the University of Minnesota has always had good sports photography as long as I can remember. If you can’t get inside the Gopher’s locker room, check out the photos in the lobby at the Radisson University on the University’s East Bank or the Applebee’s inside and you’ll see what I mean. Combined with Williams Arena, Mariucci Arena, the University Acquatic Center and the new TCF Bank Stadium, the University of Minnesota probably has some of the best sports facilities in the country. Of course, the sporting public expects you to win. That’s all!